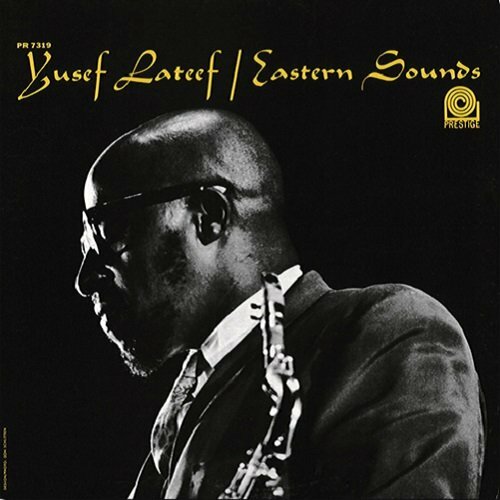 Whether his albums appeared under the logo of the forward-looking New Jazz, the contemplative Moodsville, or the parent label, Yusef Lateef never failed to offer a singular blend of jazz verities and cross-cultural initiatives in his years as a Prestige artist. Eastern Sounds, originally presented as a Moodsville disc, satisfied its initial mandate with tender readings of two movie themes and a luxurious "Don't Blame Me," while also including hard-swinging tenor sax ("Snafu"), soulful oboe ("Blues for the Orient"), and such iconoclastic colors as the sound of the Chinese globular flute and the Indian rabat (both heard on "The Plum Blossom"). A stellar working band, featuring fellow Detroiter Barry Harris on piano, helps the multi-instrumental pioneer Lateef realize his one-world vision of a music that knows neither stylistic boundaries nor expressive limitations. Rec. : Van Gelder Studio, Englewood Cliffs, NJ, September 5, 1961.